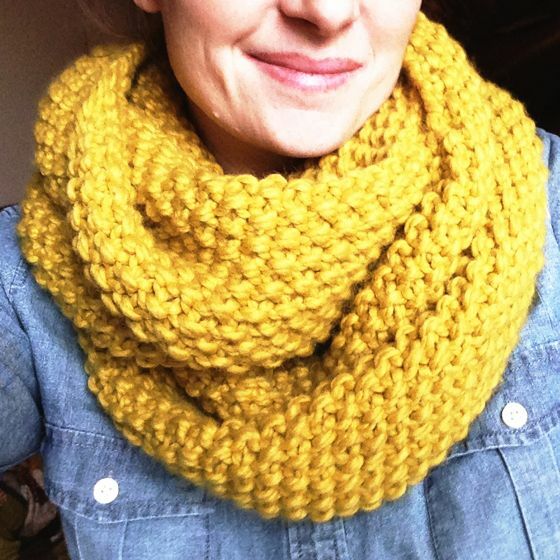 I finally finished my second Gaptastic cowl – this time for me to keep. I used 3 skeins (of the lion brand wool-ease thick and quick) instead of 2 and it ended up about 14 inches wide – which still leaves it plenty oversized. We are still lying low around here (hence the iphone pics) so I havn’t had a chance to truly test it out, but my suspicions are that it will keep me plenty warm on the windy NYC streets. 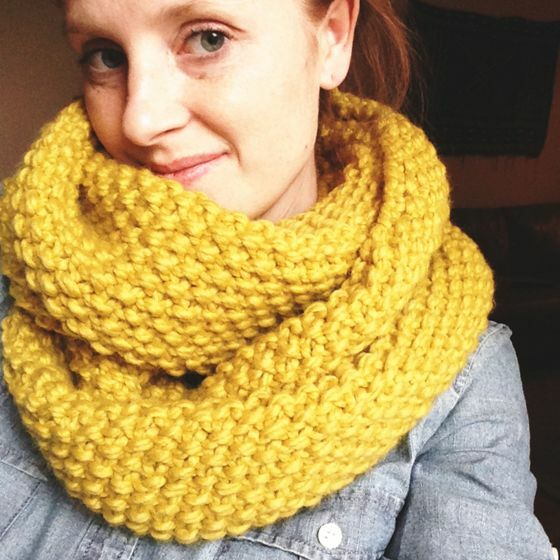 If you want to see my first version of this scarf, along with some tips for knitting it up click here. This is gorgeous! I adore the colour. Almost makes we wish for cool weather! aaaaaaah this is sunshine on a grey cold day! Oooh, it looks so luxe! Absolutely lovely on you! Great color too! Fabulous! I wouldn’t guess that that is the citron colour. It looks mustard. Love it! It looks great! I’ve had this pattern on my to-knit list for a while. I’m with Clio – so luxe looking! Love the texture of this pattern… I’ve so gotta get off my bum and cook this puppy up. Love this! It looks so cuddly and nice!